Java Archives | It`s full of stars! 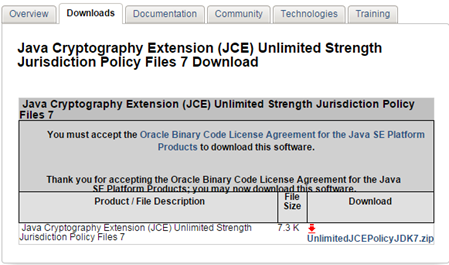 If you want or have to download Java from Oracle’s web site, you might know that you have to accept the “Oracle Binary Code License Agreement for Java SE” to activate the download link. If you have to download the binary from a computer without a browser, you get some problems: how to click on something that needs to accessed by a browser? What happens when you click on the link (technically) is that a cookie is being set. The download site checks for that cookie and when it is set, allows you to download the binary. Of course, you still have to accept Oracles license agreement. SMP 3 is a Java application running inside Virgo. 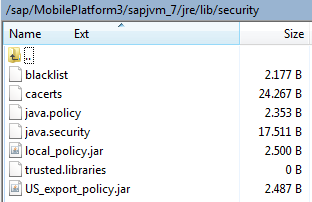 To not have to worry about Java versions and installation, the installer even installs SAP JVM together with the server. So you have a SMP 3 installation and a Java installation at hand. This means that you get automatically Java security features … and some legacy problems that come from the dark ages of Internet. One is that you have to enable Strong encryption for SMP3’s Java. This is needed at least when you are going to use SAML2 with ADFS as authentication provider. SAML 2 allows the IdP to encrypt the SAML response to make sure only the SP can decrypt it. The encryption algorithm used there is using Strong encryption methods. These are not available by default to Java. They need to be activated manually. The procedure for how to do this can be found at SAP Help. To enable Strong encryption, a policy file must be downloaded from Oracle and placed into a Java folder. Click on accept to enable the download link. Click on the link: UnlimitedJCEPolicyJDK7.zip. This will download a ZIP file. The content of the ZIP file are 2 JAR files. These 2 files must be copied to the SMP 3 Java JVM. 3) Install the unlimited strength policy JAR files. After installing the pocliy file, Java JVM has strong encryption enabled. If you want to test if it worked: there is a code snippet available on SO. Just run it as a Java program. NWDS 7.3/7.4 uses the update site concept of Eclipse. This makes it easier to update NWDS as an updated component only needs to be updated at the central update site. No need to distribute a whole NWDS installation package to the developers. The NWDS update site even includes a zip archive of the latest NWDS. 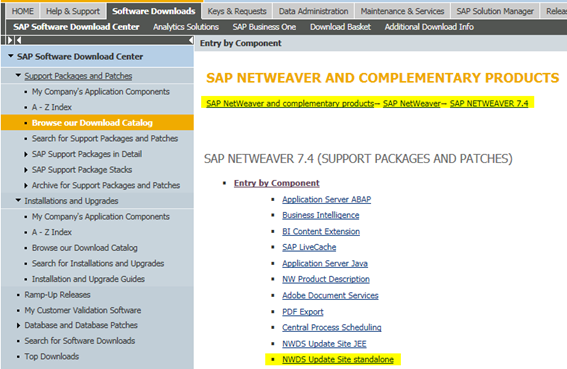 That means that the developer does not have to download a NWDS version from SAP Market Place or nwds.sap.com. This SCA contains the archives, but not the tool needed to create the update site. You can download the tool from here: link. This tool is available for Windows. The tools helps you in extracting the content of the SCA and to configure the update site URL. Afterwards, create an alias in the NW Java HTTP provider and copy the files to the directory specified by the alias. 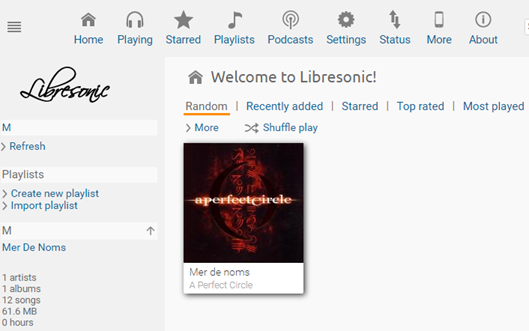 In NWDS, the update site is configured under the available software sites. Thats it. Now NWDS can be updated from the update site.